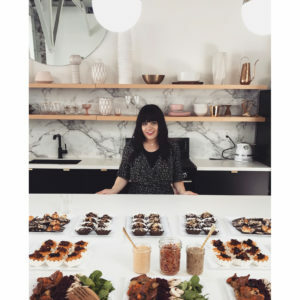 Beef Taco Hamantaschen - Kosher In The Kitch! 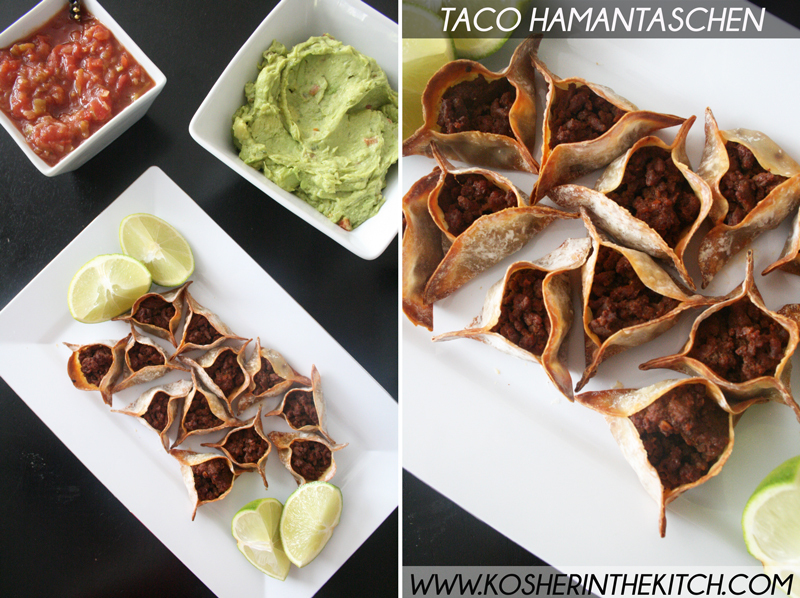 Beef Taco Hamantaschen - Kosher In The Kitch! These came about by accident, as I had leftover taco meat from dinner and decided to use them along with some ravioli dough that I had in the freezer. I have used both ravioli dough as well as wonton dough for this recipe and both came out great. The dough gets nice and crispy in the oven which makes these taste like real tacos! Brown beef, then add taco seasoning. Cook for an additional 10-15. While the meat cooks, cut out circles of dough if using wonton wrappers and place onto slightly greased baking sheet. (If you are using ravioli dough that is pre cut into circles, place them on a slightly greased baking sheet.) Wet the dough with some water then place 1 tsp. of taco meat filling in center of each ravioli circle. Pinch the sides together, forming a triangle. If it won’t stick together, wet it again, this helps it stick together. Bake in oven on 350′ for 10 to 15 minutes until golden and slightly crispy. Serve them with all of your favorite taco toppings such as guacamole, salsa and shredded cabbage.